The Royal Hotel occupies a unique place in the Chilliwack hospitality industry. 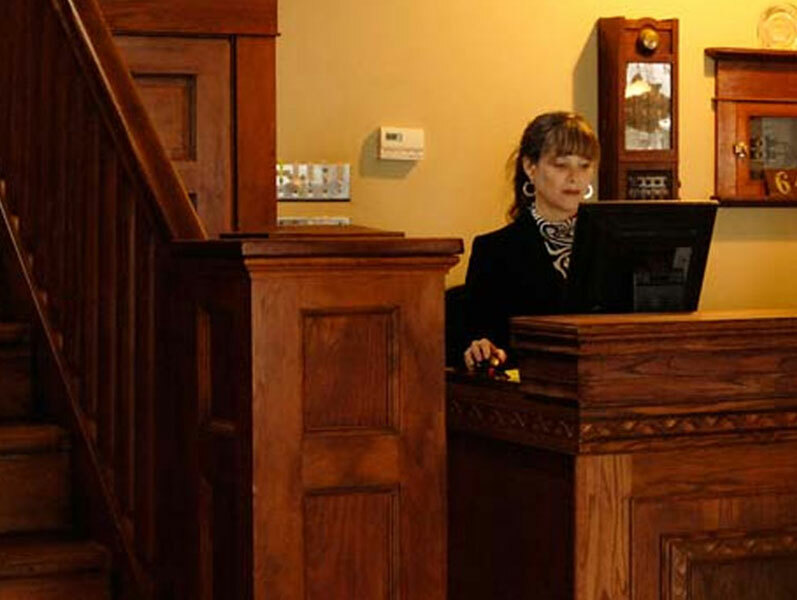 We are a small, independent hotel driven by a close-knit and dedicated team of professionals. When it comes to Chilliwack, BC hotel jobs, few employers offer more opportunities for hands-on experience and guest interaction. The dynamic work environment at the Royal Hotel is as challenging as it is rewarding, providing invaluable experience with an amazing group of colleagues. We’re not like every other hotel – we need you to bring your unique set of skills that show a lot of pride and detail in keeping this heritage hotel impeccably clean and unique in its presentation to our guests. Your schedule is flexible and fits into the ebb and flow of busy days (often on weekends) and busy summer seasons. Your “can do” attitude fits into supporting and helping other team members to make sure that the job gets done right each and every day. Flexing between housekeeping and laundry adds to the excitement and challenge of the opportunity for you. If this is you, convince us by completing our application form (available on our website or at the hotel) and getting it to us (preferably in person) so we can get to know you. We won't ask you to take your work home with you, but when at work, you want your performance to contribute to the success of the hotel. You take pride in what you do. Details are important. Your cleaning and tidying skills in cleaning and preparing hotel guest rooms for the next guests will be trained to the exacting standards expected by our guests so that standards of impeccable cleanliness are met. It is part time/casual work that ebbs and flows (weekdays and weekends) with the number of hotel guests and this suits your schedule and lifestyle. If this is you, you must complete the application form atttached and get it to the Royal Hotel, 45886 Wellington Avenue, in downtown Chilliwack (preferably in person). Application forms also available at the hotel. Part Time is what you are looking for. Working 2 nights each week (and that is "graveyard" nights from 10:30 pm to 6:30 am) works just fine for you. Looking after our guests and the hotel including guest services, security for the building, janitorial and more during those hours of the night sounds like it's your opportunity to shine. You are a positive and upbeat person with a desire to deliver outstanding service in these areas to the benefit of our guests and the success of our hotel. If this is you, you must complete the application on our website at www.royalhotelchilliwack.com/employment and get it to us preferably in person. We look forward to meeting you.